Do you have Loyalist ancestors? Or suspected Loyalist ancestors? A research library dedicated to exactly that special type of lineage genealogy is a gem tucked away in downtown Toronto. 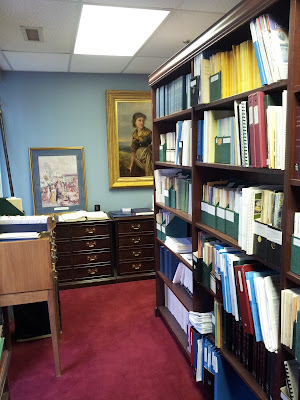 I mention this because family historians are already filling up registrations for the Ontario Genealogical Society’s Conference: June 3-5 in Toronto. This year’s venue is the International Plaza Hotel. If you haven’t registered, there is still room for more! See http://www.ogs.on.ca/conference/. 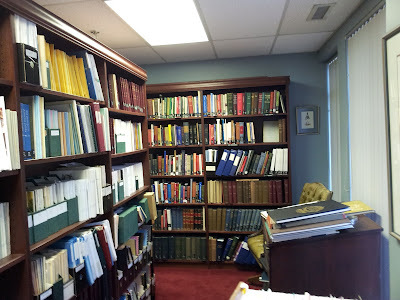 On June 2nd (yes, the Conference really starts on June 2nd for the keen) OGS offers excursions to three destinations among Toronto’s great resource centres, and one of them is the library of the Toronto Branch, United Empire Loyalists’ Association of Canada (UELAC). The UELAC is Canada’s only lineage society; our province was founded by Loyalist refugees in the 1780s. Take a look at this page on the Branch website: http://www.ueltoronto.ca/library.htm. 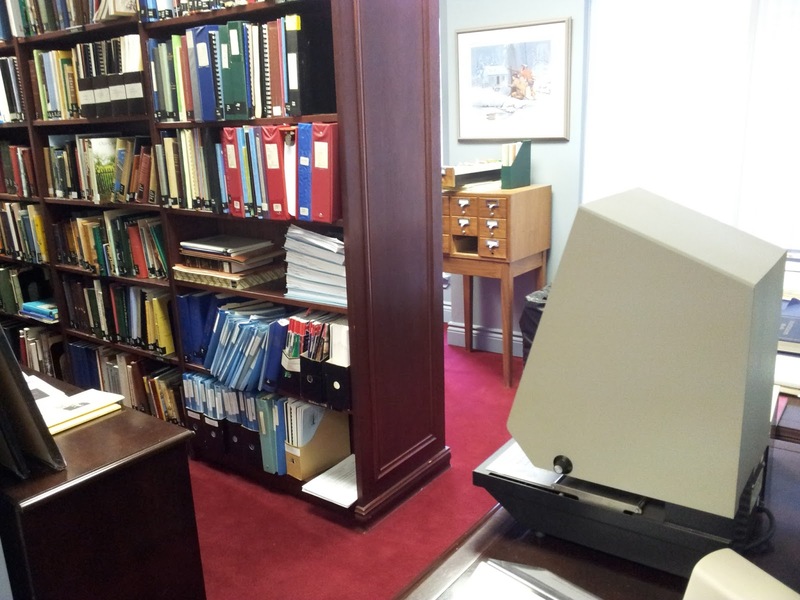 The Toronto Branch UELAC Library is located in Suite 300 at 40 Scollard Street. Normally the library is open on Thursdays, staffed by volunteers, and that will be the case for the excursion on June 2nd. But ... they can accommodate you sooner that week (e.g. Monday, Tuesday, Wednesday) if you call ahead to make an appointment (416-489-1783) ... as soon as possible! The first week in June is a golden time for family historians at Canada’s largest genealogy gathering. Thousands upon thousands of our ancestors came to or through the province of Ontario to spread to all corners of the continent — and “Genealogy on the Cutting Edge” promises exciting workshops, speakers, market place, pop-up talks, and of course the irreplaceable camaraderie. Savvy family historians do arrive early for a few extra research days, before the crowds and the discovering of potential new cousins. Just remember, call ahead to the Toronto Branch UELAC Library if you want to visit ... that week in June or any other time. * Available from Global Genealogy online or at their tables at OGS Conference 2016. Latvia has more than one memorial day for independence. One important day in the national calendar includes TODAY, MAY 4th. 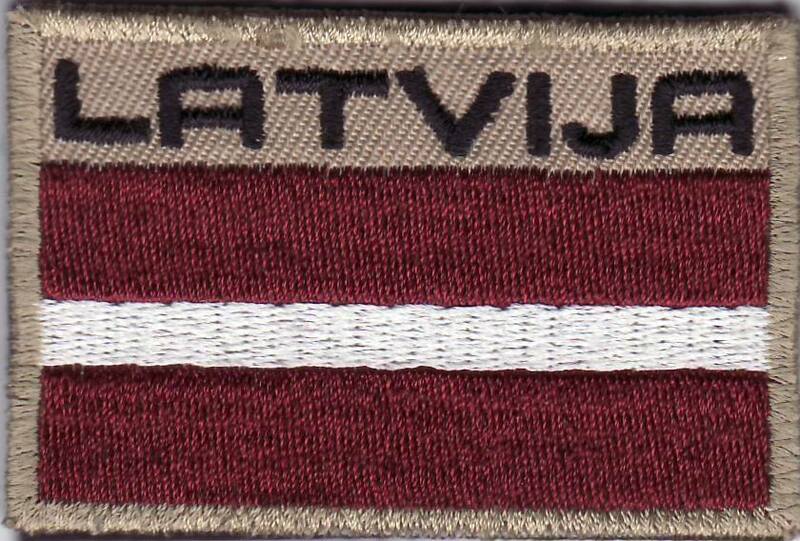 It commemorates Independence Restoration Day in 1990 when the Latvian SSR became the Republic of Latvia. Latvia has a long history of occupation and less history of independence. 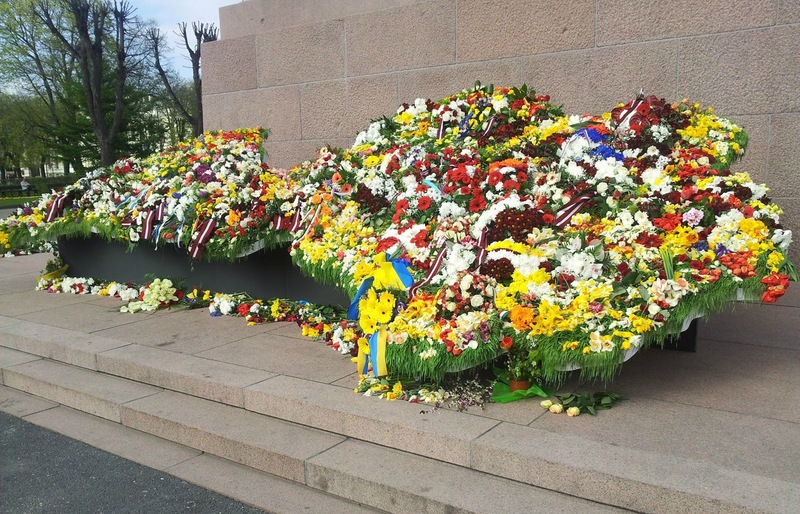 From the Soviet Union to the European Union has been the most recent and rewarding journey. Earlier the Republic of Latvia had been declared on 18 November 1918, only to end in 1940 with Soviet occupation. 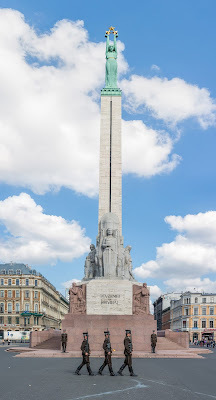 The Freedom Monument in central Riga commemorates soldiers who died in the War for Independence 1918-1920 but it has become a national symbol for sovereignty in all contexts.